First of all, the Emmys are not like the Oscars. Yes, they are both award shows and fabulous celebrites attend, win awards, and then throw afterparties, but they are by no means equal. I love T.V., a lot, however I find that they do not dress as well as their silver screen counter parts. You don’t see Rachel Zoe freaking out about what her client is going to wear to the Emmys, it just doesn’t happen. Maybe it is because you can win an Emmy year after year and it isn’t a huge deal, Jon Stewart has like 6 of them. But rarely do you see n toting 6 Academy Awards. That said there were some beautiful dresses. My favorite (and yes this could be because of my addiction to anything McQueen and the fact that we share the same birthday) was Anna Paquin’s black Alexander McQueen dress. While the bottom part of the dress wasn’t entirely fabulous, the top of it, in all of its gold sequined glory was incredible. I also thought that Claire Dane’s Armani Prive dress was beautiful, however it was quite safe. It fit her perfectly and was all in all a great couture dress. January Jones loves to get people talking about what she wears (or doesn’t wear). Her blue Versace dress is no exception. I didn’t hate it. I loved the fact that she tried something different, and the color was amazing. The little cones on the bodice were tacky, but she didn’t design the dress, so the criticizing for that should go to Donnatella. And while it wasn’t my favorite, I do think that Tina Fey needs some recognition because she did look quite elegant in her Oscar de la Renta. 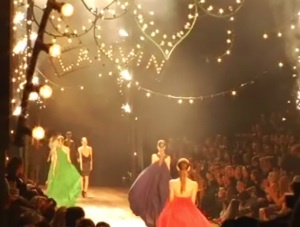 But other than those dresses I thought everything was pretty lackluster. 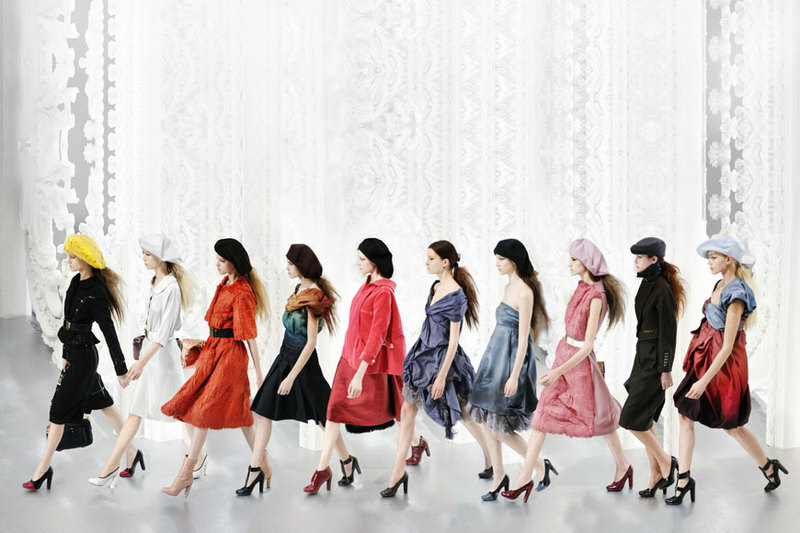 All Oscar de la Renta or Carolina Herrera, nothing fun, young, or interesting. 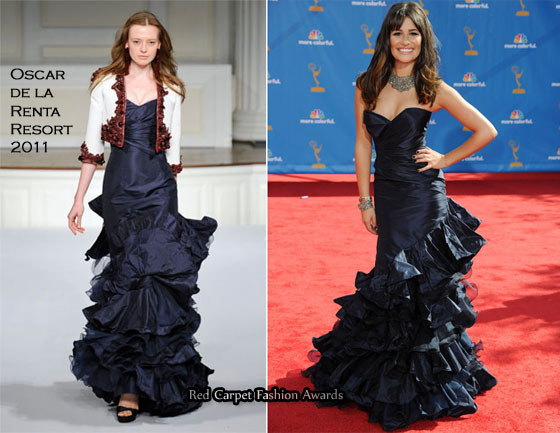 Take Lea Michele (whom I adore) for instance, she wore a dress made for someone twice her age. I love the risk Lea Michelle took! She looked beautiful. And although Danes played it safe I still think she looked beautiful. You’re definitely right though – they don’t have the same oomph as the Oscars!